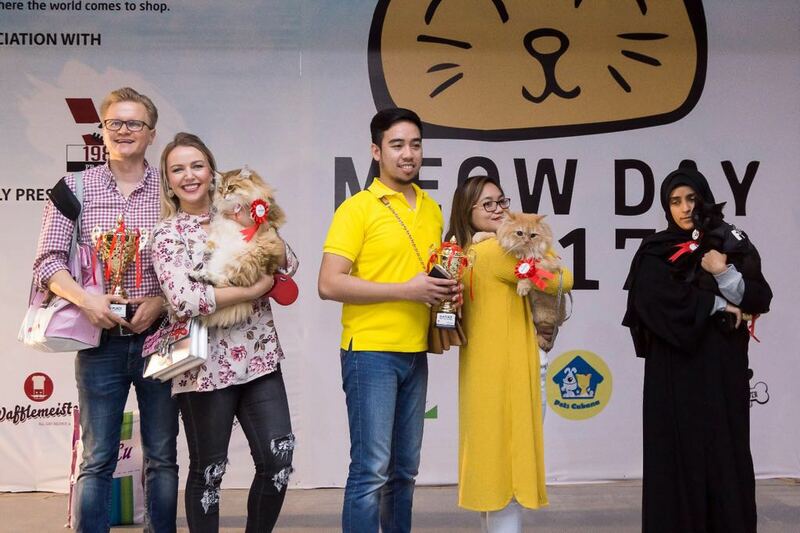 1984 PR, a Bahrain-based strategic positioning consultancy, in collaboration with Directions PR and Events, an established events management company, held Bahrain’s first ever cat festival, Meow Day 2017 at the outdoor pavilion in Adhari Park. The festival, which was sponsored by Lulu Hypermarket and Wafflemeister, drew approximately 2,000 visitors, who were treated to feline-themed activities such as a Prettiest Kitteh pageant, a cat trivia quiz with prizes, a “kitty race” which was revealed to be a “kiddy race” where children in cat ears raced against each other, and later on, a 3-minute race with actual cats which surprised the visitors when one of the cats comfortably walked to the finish line. More than 30 cats were present at the festival with their owners, and many of them took part in the pageant where a panel of judges factored qualities such as ‘name’, ‘neatness’, and ‘personality’ into the results. Atlas Augustus won 1st place in the pageant. Bahrain Rescues, a group of active animal rescuers in the Kingdom, were also present at the festival with a number of rescued cats, all of whom were adopted at the festival. Lulu Hypermarket, the title sponsor of the event, showcased their range of specialty cat food, accessories, and grooming products. Dr. Nonie Coutts Veterinary Surgery, Advanced Veterinary Clinic, and Pets Cabana exhibited their pet products and services at the festival, while several artists offered visitors the rare chance of drawing their cats and sold other cat-themed arts and crafts. Bahrain Writers’ Circle, a group of local writers and poets, provided custom-made poems and short stories on request about people’s cats, and kids had their faces painted as cats. The Hive, Bahrain’s first hacker space, demonstrated to visitors the capabilities of 3D printing, which include producing prosthetics for cats that have lost their legs. Several other vendors were also present at the event. 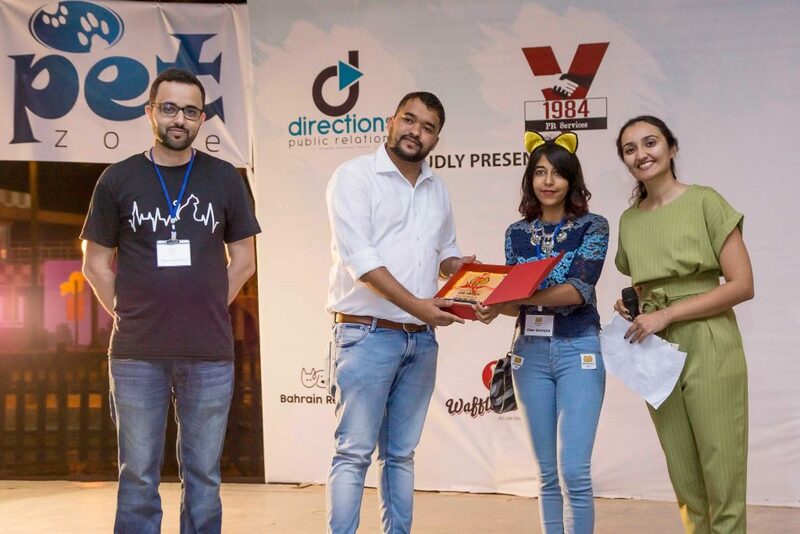 Meow Day’s organizers, Mohammed Hassan, Amy Vaya, and Puja Tiwari said that following the success of its first edition, the festival will continue to be held each year, and that fans can expect bigger and better things for next year’s festival.